CVS/pharmacy announced yesterday an in-store fundraising campaign to help fight the number one cancer killer of women – lung cancer. CVS Caremark is the national presenting sponsor of LUNG FORCE, and all funds raised through the campaign will benefit this new health initiative. 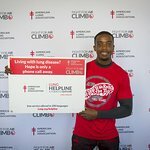 From now through June 29, CVS/pharmacy customers will have the opportunity to contribute to LUNG FORCE at the register in stores nationwide or online at www.cvs.com/lung with all proceeds going to support the movement. Earlier this year, CVS Caremark announced its decision to remove tobacco from its retail stores.